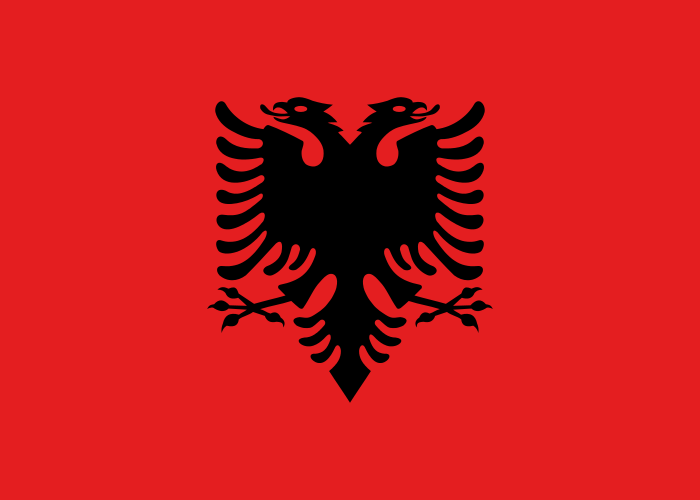 Albania is one of those countries that never seem to fail completely in this contest. Even when their song isn't my cup of tea I can usually find something appealing hidden at the bottom of the package. This year's song is pleasant and well performed, presented in a sleek and attractive arrangement. When you single it out and listen to only this one, you will find it a very good song. Problem is it comes in a line-up where I've already heard Armenia and Azerbaijan and Czech republic and Switzerland and Serbia and Australia and I have no idea how this will manage to sell itself to an audience at this point. Borderline. A good song is a good song and it does have a favourable starting position. But if it qualifies it is more due to good luck than anything else. Pity that they changed the song so much from the Albanian final. The string arrangement of the original version was superb and the original language much more appealing. When stripped of these elements to a much more generic "modern" eurosong the song lost all the elements that set this song apart from all the other female belt out songs this year. Tobias, this is not a good song in any circumstances. Possibly the worst of the year. Utterly forgettable, with no soul or melody. They butchered it it with the infamous Albanian revamp. It's not borderline. I think you should probably adjust that assessment.